If you like science mixed with comics,then “What If?” is the book you should find. 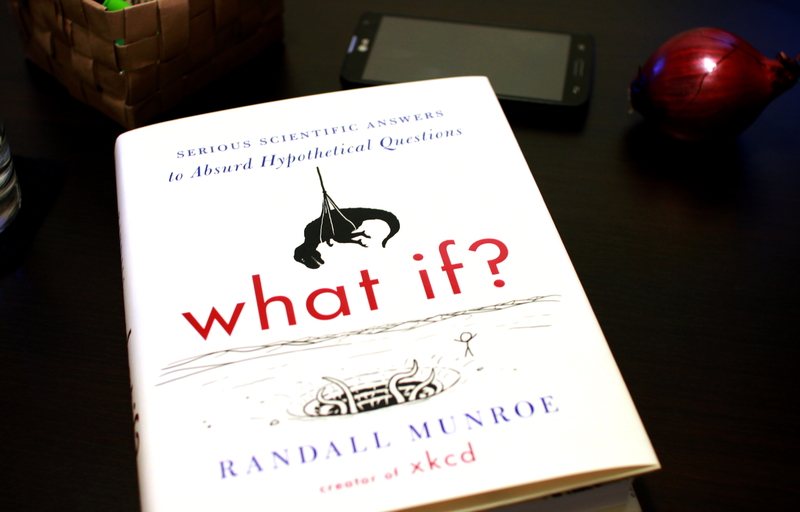 Written by the XKCD web-comics author Randall Munroe, the book is a compilation of “what if?” questions and answers to them accompanied by some Munroe’s stick-figure comics. With questions from such varied areas of science as genetics, rocket science, chemistry and astrophysics, there’s something for everyone and the answers are so humorous that even if you might have hated chemistry in high-school or despised anything to do with physics, the book shows that they’re actually harmless and quite interesting if well explained. My favourite question was one about a bullet as dense as the matter in neutron stars and what would happen if it went through the Earth or was near the ground and also one about draining Earth’s oceans. If you’ve read it, what was your favourite question/answer? This entry was posted in comic books, Non-fiction and tagged book review, books, Randall Munroe, science. Bookmark the permalink.